The things about which you can file a lawsuit in this country continue to amaze me. Take James Frascatore, for example. 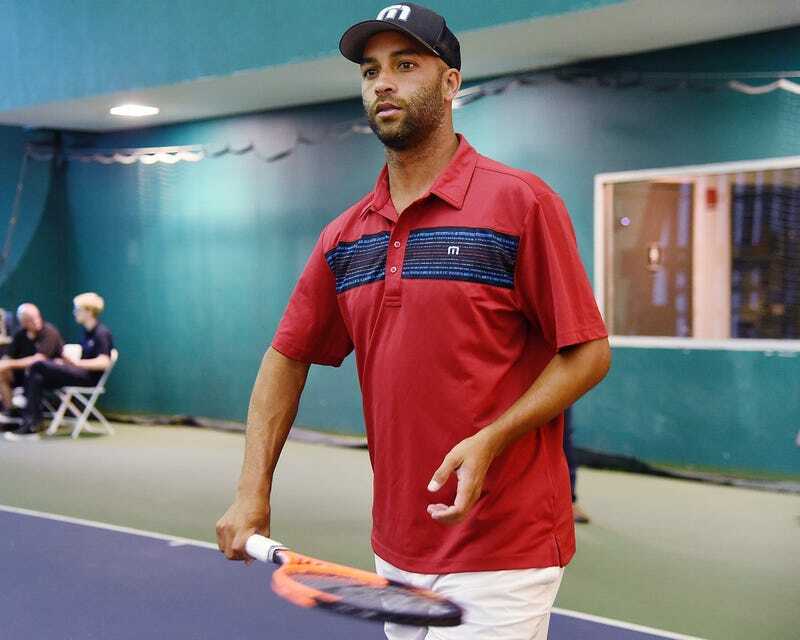 The New York City police officer was put under severe scrutiny back in 2015 after he was caught on camera tackling former tennis pro James Blake to the ground and cuffing him outside a Manhattan hotel after he mistook the star for a credit card scammer. Of course, Blake wasn’t a scammer, and the fallout was swift and sure. The ordeal left Blake shakened. At the time, Blake said that the officer did not identify himself as such. Now Frascatore is suing not only Blake— the person he wrongfully arrested—but also the New York City Police Department, saying that he was thrown under the bus following the incident, the New York Post reports. “People need to realize that with the information I had at the time and the circumstances that presented themselves, it was the right call,” Frascatore said of the arrest. The suit names several others as defendants as well, including Complaint Review Board Director Tracy Catapano-Fox and HarperCollins Publishers, which released the former tennis player’s book, which discusses the incident. The officer maintains that his supervisors for the stakeout mistook Blake for a scammer, with the suit claiming that the former top-ranking tennis player closely resembled the suspect, who was said to be armed. Frascatore said that when he realized his mistake, he removed Blake’s handcuffs and apologized. The lawsuit claims that the defendants made Frascatore out to be a “racist goon” and threw him under the bus because of the tennis pro’s celebrity status and pressure from the city’s “elite,” the Post notes. The book, which Blake co-authored, Ways of Grace, also drew Frascatore’s attention. The cop said that he bought the book and became “very angry and upset while reading it,” and that he plans to sue for emotional distress and slander. Yes, indeed, he was the one put in emotional distress two years ago. Anyway, Blake and prosecutors from the Civilian Complaint Review Board said that the arrest was simply a bad bust. Prosecutor Jonathan Fogel accused Frascatore of tackling Blake “like an NFL linebacker” or like Rambo. A decision on Frascatore’s administrative trial, which recently concluded, is still pending.